Kanguru will be sampling at the events, helping event goers make the most of their day, kicking it off with a smart & clean energy lift. 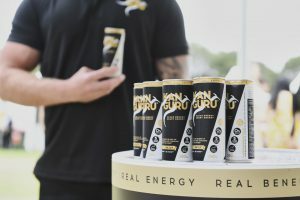 Over 90% of the caffeine in Kanguru comes from 5 premium botanicals – Korean Red Ginseng, Yerba Mate, Guarana, Schisandra and Green Tea, which were chosen as they deliver a cleaner smarter energy lift. Kanguru also contains 6 B-vitamins which help to support the body in converting food into energy. Each ingredient chosen for Kanguru is included for a purpose, and is used in beneficial not token amounts. As well as sampling, Kanguru is sponsoring the “Kanguru Men’s Dash” – a popular event held at the half way mark of the day where men can go from being mere runners, becoming Dash legends with the chance to win some great prizes.